The Rebel Sweetheart. : Force of Will Card Games | An Exciting Card Game for All. Force of Will Card Games | An Exciting Card Game for All. One of the good things about card games is that you will not need anyone else to play with to enjoy a great game. There are lots of popular card games nowadays, which caters to a variety of game players. One of the famous games today is Force of Will, which is extremely popular among kids and younger teens. What is Force of Will? 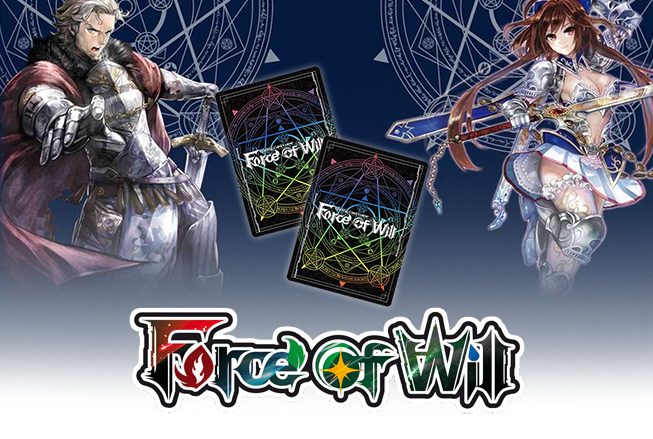 Force of Will is a strategic and exciting card game, which was developed in Japan. Today, it has become a globally-renowned game, with players all around Canada, USA, and a few other countries across the globe. The popularity of this game is mainly attributed to its amazing work on the cards as well as the complicated system of the game. In this game, each player has a ruler which serves as its avatar, and by means of the “Force of Will”, the user will summon the “Resonator” to battle each other. New players begin the game with starter decks such as“The Machine Lord” and the “Machina” deck. These types of decks are pre-built, with content that involve a fast rule guide, a rulebook, and a play sheet. It also comes with 51 cards that you can utilize throughout the game. These starter decks are accessible in the force of will singles collection. Besides the starter packs, promo cards are also available, though some of these are quite difficult to find. Booster boxes and booster packs of this card game are much accessible, along with every booster pack that contains 10 random cards. These cards can give extra powers to your existing Force of Will Cards. Accessories for this card game include a wide range of play mats with stunning artwork. These mats measure around 23 ¼ inches x 13 1.4 inches. Also available are the Official Card Back Sleeves to keep your cards crisp and well-protected. These sleeves usually come in packs of 50. Storage boxes, which keep the cards in mint condition, are also available. The Ultra Pro Platinum Premium Flip Box, for instance, has the ability to hold around 100 collectible cars into the protector sleeves and is constructed from red matte leatherette. Foodie Goodie | Kuya J Restaurant. How to Cope with Losing Someone You Love. Pucker Up! | Beyond Alice in Glow Oil Tint. Spotlight | Etude House Moistfull Collagen Line. Seoul Searching | Namsan Park.